RTÉjr started out life as Den Tot's a block on the classic children's TV strand The Den in 1998. This was a major change for the service as Irish children's TV would effectively be on air from 7 in the morning to 6 each evening. RTÉ Two became the main RTÉ children's channel in 1988 with the move of Dempsey's Den to Network 2 from RTÉ 1. In 2010 RTÉ made the decision to re-brand The Den as RTÉjr and TRTÉ. 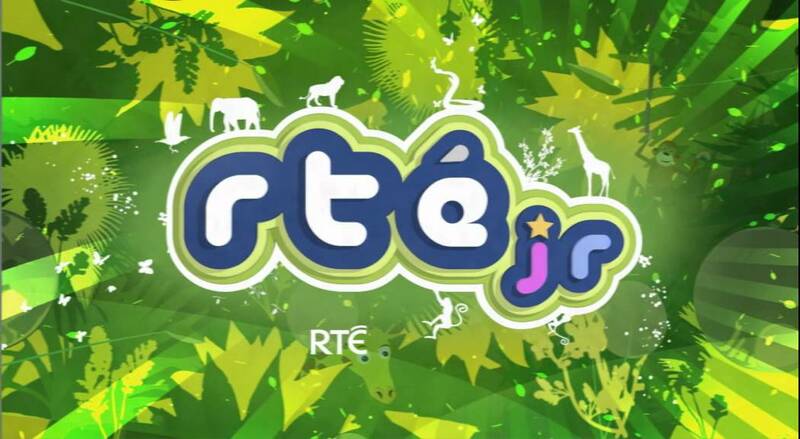 Since 2010 RTÉjr has grown. Initially launched in May 27, 2011 as a 5 day week channel and last year as a stand-alone channel. RTÉ's children's services are hugely underfunded with just €8million available to them. RTÉ have asked the Minister for Communications, Energy and Natural Recourses, Pat Rabbitte, T.D. to move the new service completely from the RTÉ Two schedules. This took place on the introduction of a new schedule for RTÉjr a year ago. The Minister stated in November 2013 that he would be in a position to make a decision on the change shortly, however the minister has yet to announce his decision. The minister did ask the views of a number of state organisations and a number of NGOs, however some research into theses organisations shows that many did not reply to the minister's request. The organisations contacted by the minister where Age Action Ireland, Broadcasting Authority of Ireland, Consumer Association of Ireland, Independent Broadcasters Ireland, Irish National Organisation of the Unemployed, National Consumer Agency, National Disability Authority, National Newspapers of Ireland, Office of the Minister for Children, Ombudsman for Children, RTÉ Audience Council, Setanta, TG4 and TV3. CCÉ News contacted a number of the non-Broadcasting organisations included in the DCERN research, some didn't know what RTÉjr was and one was perplexed as to why they would be asked to comment. Perhaps the research was spread to thinly and the minister might have considered asking the public. However Minister Rabbitte is "satisfied that this represented an appropriate level of consultation in this case." Audience levels for both RTÉjr and RTÉ News Now are not reported by either TAM Ireland or RTÉ. RTÉ News Now has an audience reach of 12%, however there are no figures as to how many viewers watch the channel. Across online platforms RTÉjr gets about 1million hits each month, however no viewer research has been published by RTÉ or TAM Ireland, both of whom have insisted that they wish to become more transparent.